Pokémon Special, known in English as Pokémon Adventures, is a manga series written by Hidenori Kusaka and currently illustrated by Satoshi Yamamoto. It follows the characters granted Pokédexes (the Pokédex Holders, who are based off the player characters and named after the games themselves) in a set of climactic adventures and battles. Removed link Heeeere ya go. It can't possibly be bad when Satoshi Tajiri creator of the Pokémon franchise, so give him a high-five says it's right on the money. Last edited by Blivsey on Thu Jul 28, 2011 5:55 pm, edited 1 time in total. It's a great series, and one I've mentioned several times in my news posts on PV. Is that site legal though? Since Viz finally resumed the official English release of Adventures, I'd prefer not to have any links here to free fan translations or the like. I can remove it, if you'd like. DragonGuard only translated a few of the sections (apparently Viz Media translated out of order or something, so DG reordered and retranslated it), and the rest is the official English translation. They translated the first 7 volumes (through the Yellow arc) then stopped for a long time. Then they started up again from the beginning and are currently in the middle of the G/S/C arc. They also recently started releasing the D/P/P and B/W arcs too, which is kind of weird, but it means that, by the time the main series finishes FR/LG, we'll pretty much be caught up with Japan. Ah, that explains it. Although, DragonGuard gets a few points for correctly translating Blue's and Green's names (Blue is the girl, Green is the boy). Yeah, that was an intentional switch this only the Red and Blue games got released in the US. Not supporting it, just pointing out that it wasn't a translation mistake. Actually, it probably should be the original Japanese way (Red and Green being the paired versions in Japan, whereas Red and Blue are the paired versions in English games). It really spoils a punchline later on, with "Fire Red and Leaf Green". Oh yay a PKMN Special thread! :D What should be discussed, if at all? We could only assume to be discussing the comic, recent or otherwise. Hey look, an excuse to post here. Well, I recently reread the comic and... the RSE saga is definitely my favorite. Not just because 3rd gen is my favorite gen, but because it's such a deep storyline. I'm hoping it gets a US release soon. We're currently missing R/S/E, FR/LG, and HG/SS. Oh yeah, FRLG. My favorite one of 'em all. Though I hate it when they all get petrified by... Darkrai. Oh well, at least they got out. Shame no US release. 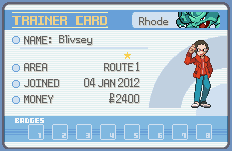 Particularly like the new designs of the original Dex Holders (but Yellow didn't change, but possibly for the better). Emerald has this uniting feeling that I... just love, for some reason. Now that G/S/C is finished, R/S/E seems likely to come in the not too distant future. Unless that decide that releasing three arcs at once would be a bit much seeing as they're currently doing D/P/P and B/W. Is there any links that would let me read this comic online? Like any of the art you have seen here viewtopic.php?f=12&t=3098 and want to see more drop by one of these places! Make sure to leave a like if you,well like what you see. Have a great day! As stated above, while piracy is certainly a thing that happens, it's probably a bad idea to link to it here. I'll note that they did finally start releasing the R/S arc earlier this year.